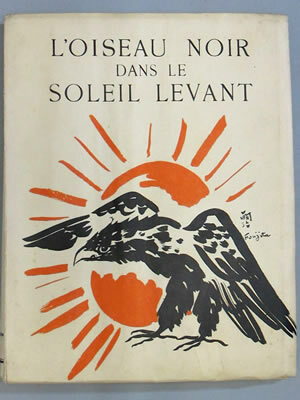 [Fujita] CLAUDEL(Paul) L'OISEAU NOIR DANS LE SOLEIL LEVANT. 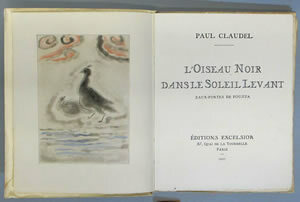 Paris, Excelsior, 1927, 23.5cm, 145p., No. 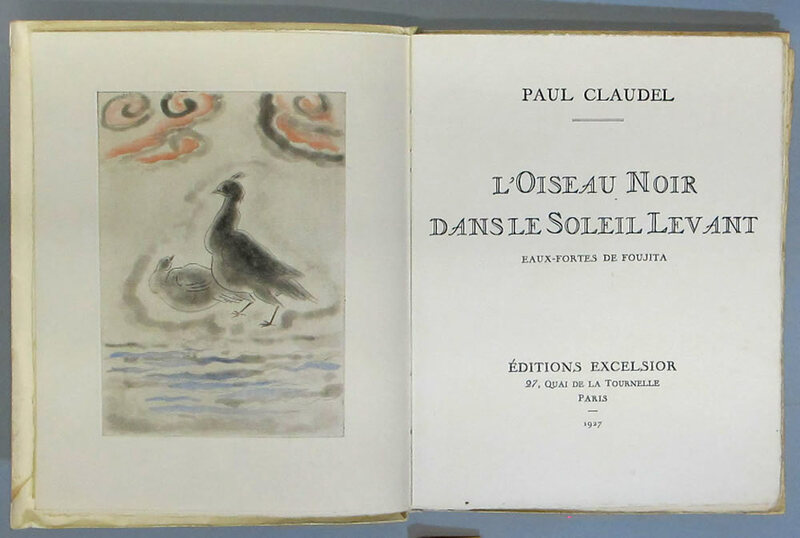 507 of 511 limited copies., 19 original hand-coloured etchings by Tsuguharu Foujita, original wrappers.